Memorial Union (MU) at Arizona State University is a popular place to hang out during class breaks. Considered the “Living room” of the campus Arizona Hardwood Floor Supply had the pleasure of installing engineered hardwood flooring to enhance the comfortable environment. 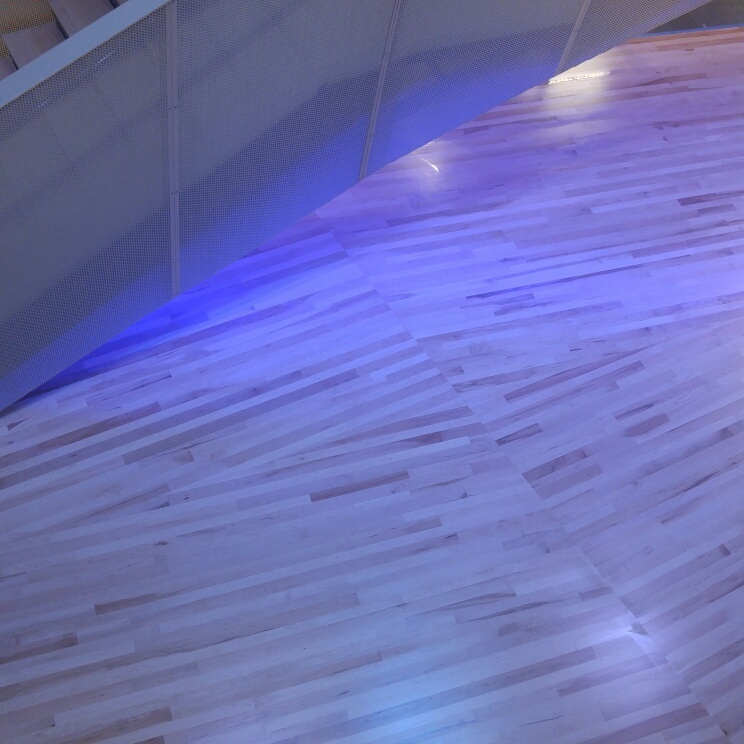 Unlike many flooring installations that we have encountered this particular setup was unique in its own right. We installed the flooring by intertwining two different wood flooring widths. Utilizing Owens 5/8” x 2 ¼” and 3” and Maple unfinished engineered flooring the result was a fresh, modern feel to enhance the comfortable lounging space. To complete the installation, we applied a natural sealer with a finish of Bona Mega Satin HD. With the large volume of traffic that MU receives from its students every day, the engineered hardwood flooring will expand and contract less than solid hardwood flooring, and the flooring will provide a great deal of durability for years to come. At Arizona Hardwood Floor Supply we have over 30 years of custom and engineered wood flooring installation. We service all types of wood flooring for residential and commercial construction and renovation projects throughout the Valley. Our dedication to quality and outstanding workmanship can be seen in homes, schools, museums, office buildings and restaurants statewide. To learn more about our engineered hardwood flooring, contact Arizona Hardwood Floor Supply or give us a call at (623) 742-9663 (WOOD) to speak to one of our friendly estimators today! We are ready to answer your questions and provide expert advice on all types of wood and laminate flooring products, installation and restoration.